Thats the way it is...: Luray caverns ! its a busy life no matter wat you do ! 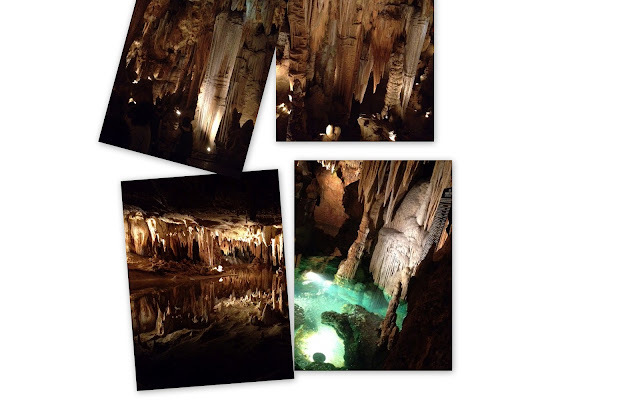 wishing well and attractive stalagmites at Luray caverns! We were in for a grand surprise as the darkness unveiled the beauty of stalagmites settled under the ground before thousands of years.It was more artistically presented with lights at suitable distances.Maybe this is what inspired the Indian movie director Manirathnam to shoot most of his movies in utter darkness with little light that reflects a totally nonrelated subject hence beautifying the entire scene of the movie.Nevermind, we headed in the trail with the wonderful view of lots of stalagmites that were naturally sculpted centuries ago. There is a stalagmite in the shape of the Leaning tower of Pisa , well this one was not leaning, though.There is a wishing well too. This is one destination that was never on my list but gave me the most refreshment and the much needed ambience, like it was air conditioned naturally . There s an antic car showroom showcasing world's most expensive and branded sports car in the campus.It was a cool day out in all . harry potter set mathiri iruku!! are these for real..woww!! This blog is about my encounters with life , travel as a woman, wife and a mother of two kids in my attempt at living.